Until recently, chaga was virtually unknown to anyone outside a cold climate. Today, it is promoted across the Internet as a miraculous cure all. From tall tales to made up research, chaga has acquired some widely circulated puff on the road from obscurity, but it has also demonstrated genuine merit. The fungus has a history of traditional use among several cultures, and modern evidence for healing potential. Sometimes called a mushroom—actually a mycelium—chaga looks and feels like chunks of wood with a cracked, charred edge. Chaga has been called a tree cancer, and its development plays like an arboreal horror film in super slow motion. This fungal parasite infects trees deep within the trunk. As the mass grows over the course of several years, it pushes through the bark, oozing out in blobs until the host dies. 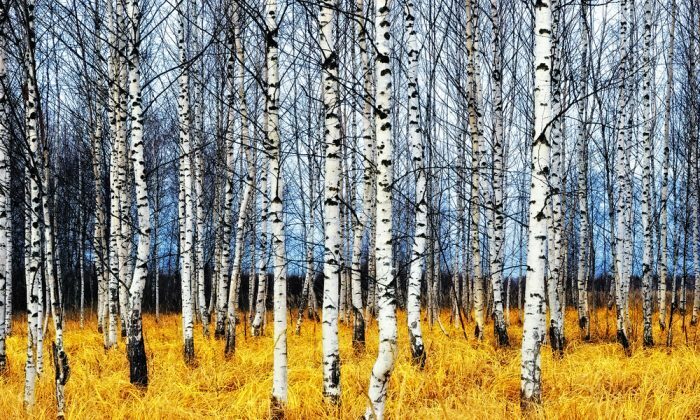 The fungus may infect alder, hornbeam, and other trees, but only when it is harvested from a live birch tree—particularly black, paper or yellow birch—is it considered medicinal. In folk medicine, chaga was used for stomach problems and skin issues but served primarily as what we would call today an adoptagen—an herb that helps the human body adapt to stress. Some cultures burn chaga, using the smoke for ritual cleansing, like sage. In Finland it’s used as a coffee substitute. Much of chaga lore (and the name itself) comes from Western Siberia where the best specimens are said to be sourced. Russian novelist Aleksandr Solzhenitsyn is credited with popularizing the fungus. In his 1968 novel “The Cancer Ward,” the Nobel Prize winning author tells of a country doctor observing Russian peasants using chaga tea to treat their illness. Poland and Russia were the first to research chaga, with more recent studies coming from East Asia. Clinics in Japan and Korea treat patients with chaga extracts. 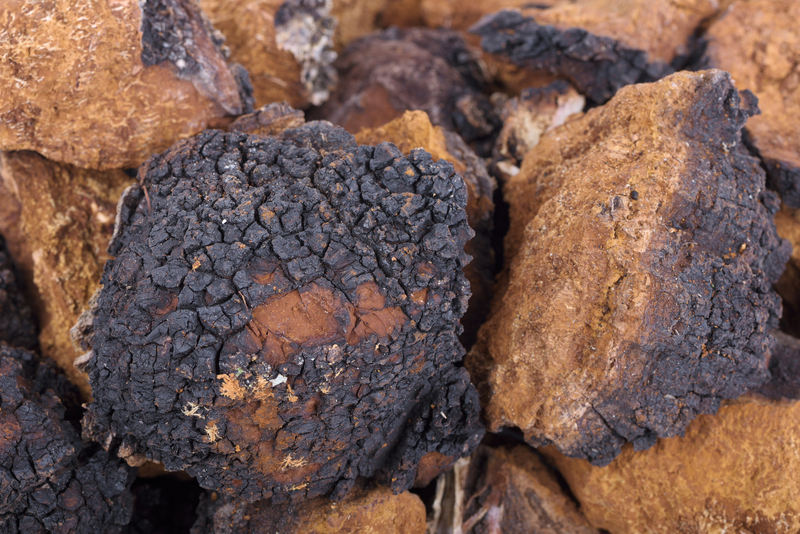 Chaga is also gaining attention in China, but its link to ancient Chinese medicine may be weaker than reports suggest. Many websites claim that Shen Nung, father of Chinese agriculture, praised chaga as the “king of herbs,” and a “precious gift of nature.” However, Shen Nung wasn’t likely to encounter chaga, since it only grows in the extreme north of China. Russia was the first to recognize chaga in modern medicine in 1955, approving an extract for gastritis, and the early stages of some cancers. This preparation, said to be made according to an ancient recipe, is still available under the name Befungin. Researchers have identified many important phytochemicals in chaga. At regular, moderate doses the fungus shows no signs of toxicity. Like other medicinal mushrooms, chaga helps boost immunity, but it has features that other fungi lack. Chaga stimulates the production of super oxide dismutase—a special group of enzymes which protect the body against degenerative oxidation and free radicals. Chaga contains a fair amount of beta-glucans—an immune strengthening compound found in all mushrooms—and a lot of melanin, a pigment chemical which colors our skin, and colors the chaga edge black. This high melanin concentration contributes to chaga’s enormous antioxidant content, and may protect the body from DNA damage. Today chaga is used for general wellness, as a cancer preventative, and to counteract the toxic effects of chemo and radiation treatment. It has also been shown to shrink tumors in the early stages of malignancy. Part of chaga’s anti-tumor reputation is linked to betulin and betulinic acid, which the fungus absorbs from the birch tree. These components have strong antiviral action, but are difficult for humans to absorb. One prevalent theory is that chaga concentrates these birch chemicals into an easily digestible form. Mushroom experts worry that chaga’s growing popularity could lead to overharvesting and hurt the environment. Stamets promotes cultivated chaga, not only because it is more sustainable, but also because it is cleaner: it does not carry insects or their feces, and is less likely to absorb heavy metals concentrated from air pollution. According to Stamets, cultivated chaga shows antioxidant effects similar to that of its wild brethren, but it may be missing out in other aspects. Researchers have found that only wild chaga grown in harsh winter climates—such as Alaska, the Changbai region of China, and Finland—develop powerful healing constituents unique to the fungus, such as beulin, betulinic acid, and melanin. Chaga is available in raw chunks or as a tincture, powder, or tea. The best professionally prepared extracts are designed to make the most of key constituents. If you’re interested in making your own preparation, consider the source of the fungus and the method for extraction. Recipes available over the Internet vary widely.